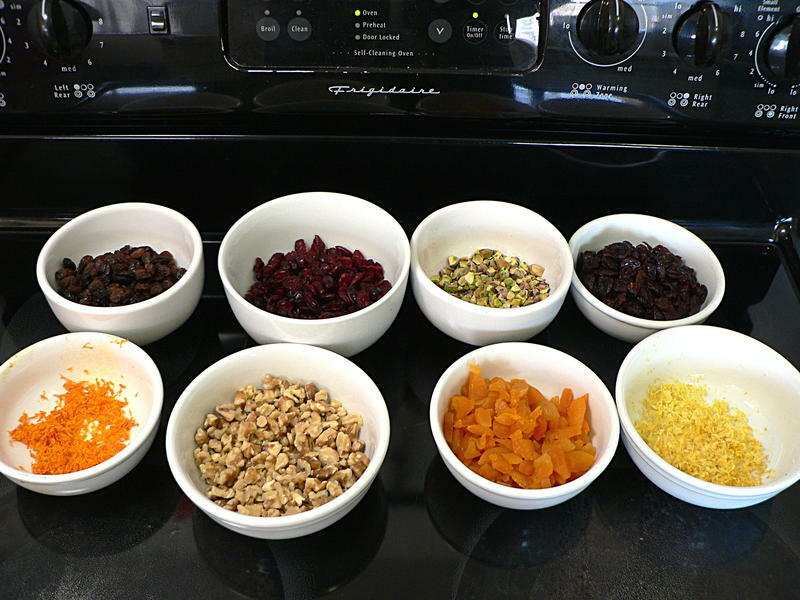 Jenn and the girls love visiting tea rooms to have … tea, apparently. And tiny little cucumber sandwiches and petits fours and scones. I didn’t do tea parties growing up, so let’s just say that’s all not my scene. 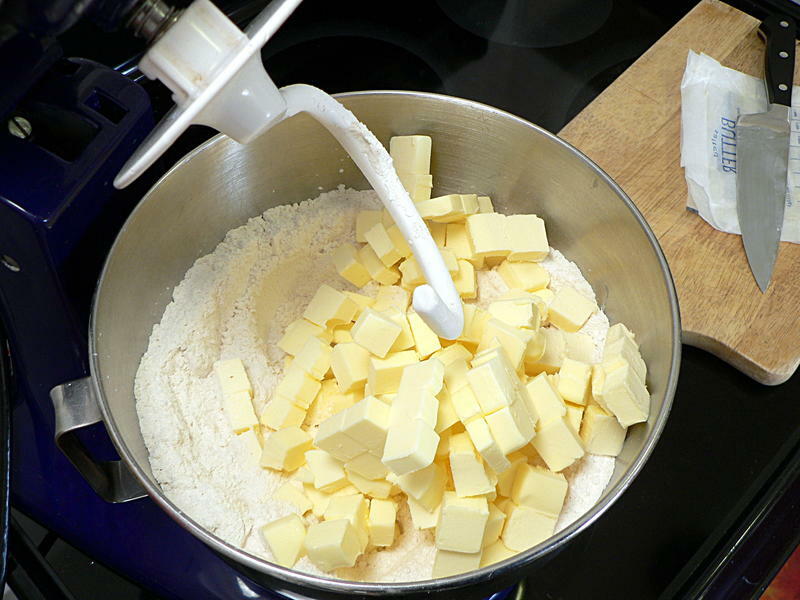 Dice the butter into small pieces. 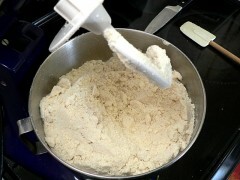 Add to the dry ingredients and beat until it forms coarse crumbs. 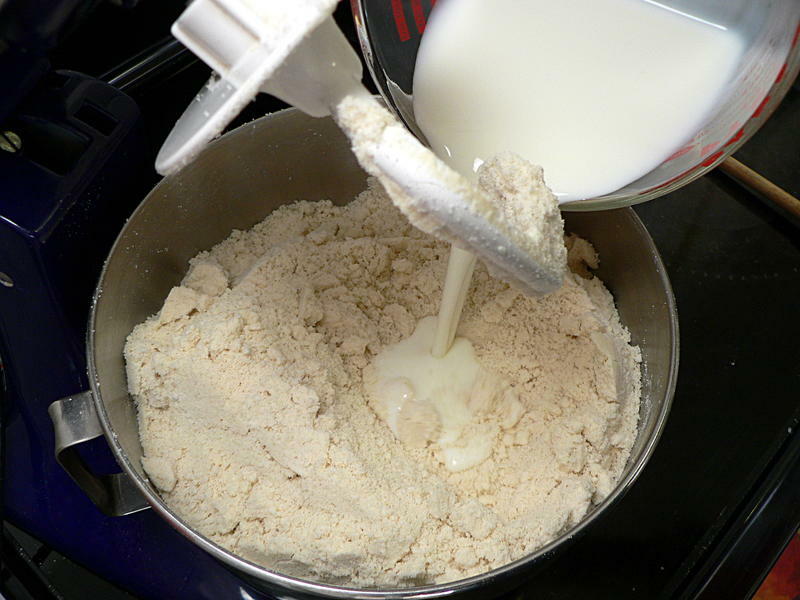 Add the buttermilk and mix until the dough is smooth and uniform. 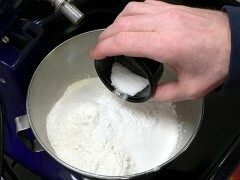 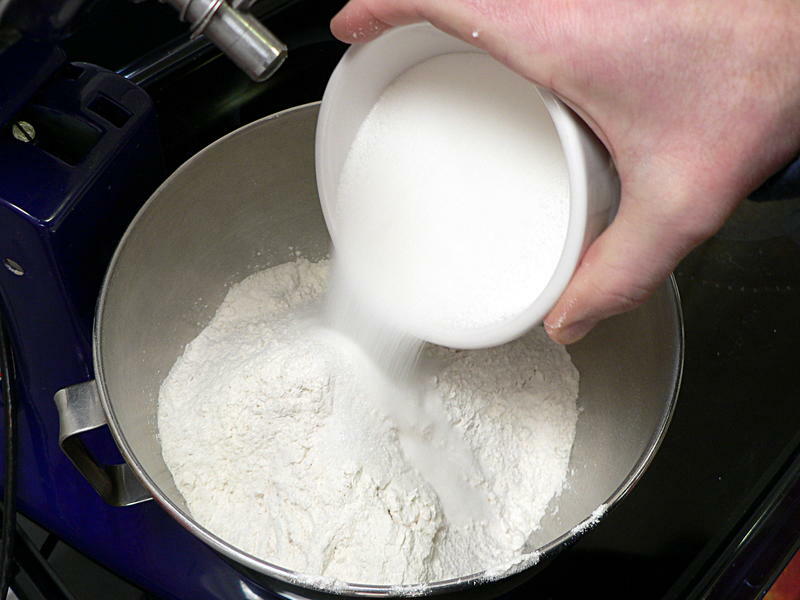 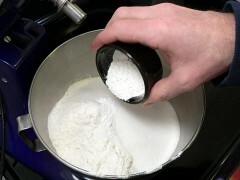 Turn out onto a floured surface and divide into four equal portions. You could form the scones now and bake them plain. 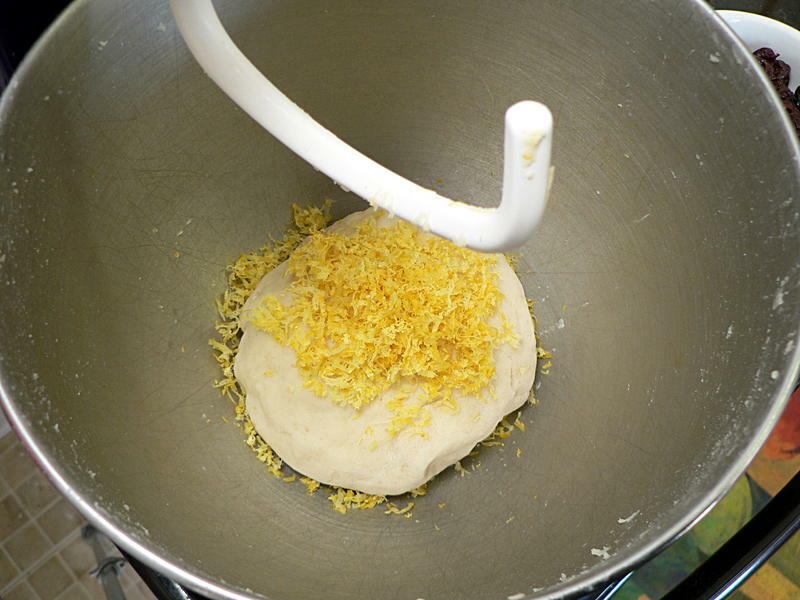 But where’s the fun in that? Instead, one by one take your portions of dough add the mix-ins. 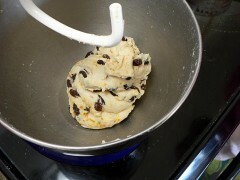 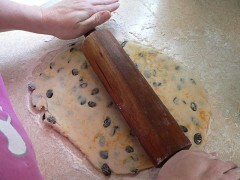 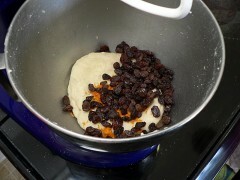 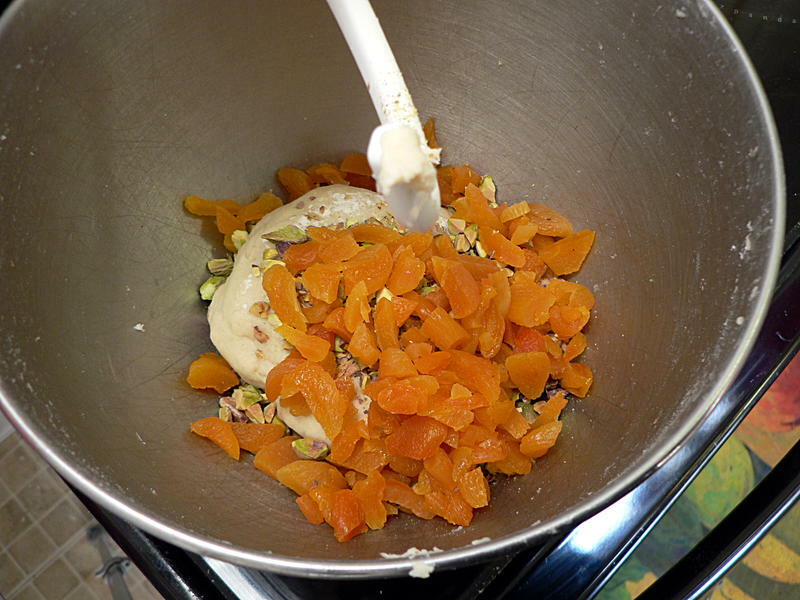 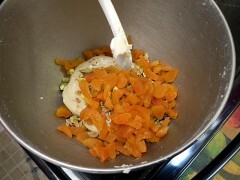 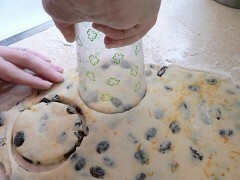 First the orange zest and raisins. Next lemon zest and cherries. 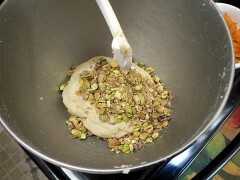 And finally pistachio and apricot. Roll the dough out about a quarter-inch to a half-inch thick, and cut out with a cookie cutter or a large cup. Place on a baking sheet covered with parchment paper and brush the top with milk or buttermilk. A note on parchment paper: If you’re going to bake, get parchment paper. 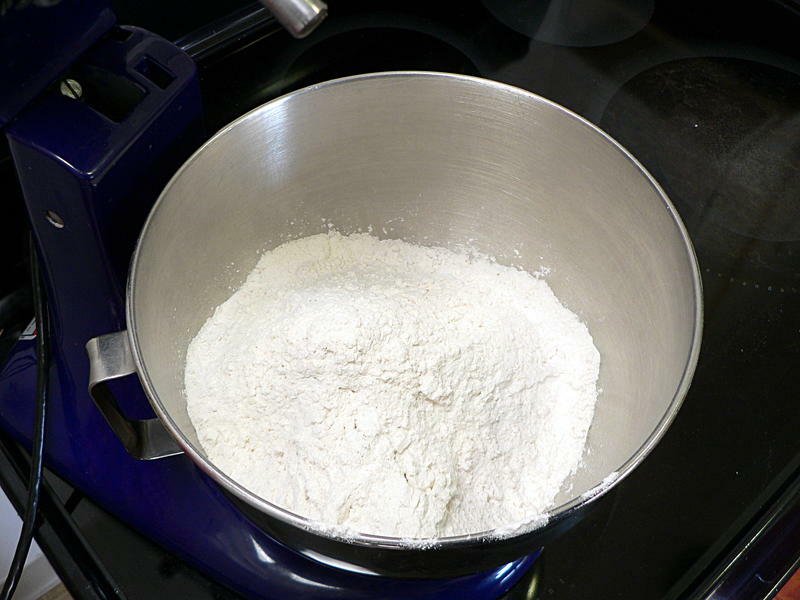 Use it for everything. You’ll wonder why no one ever told you this before. 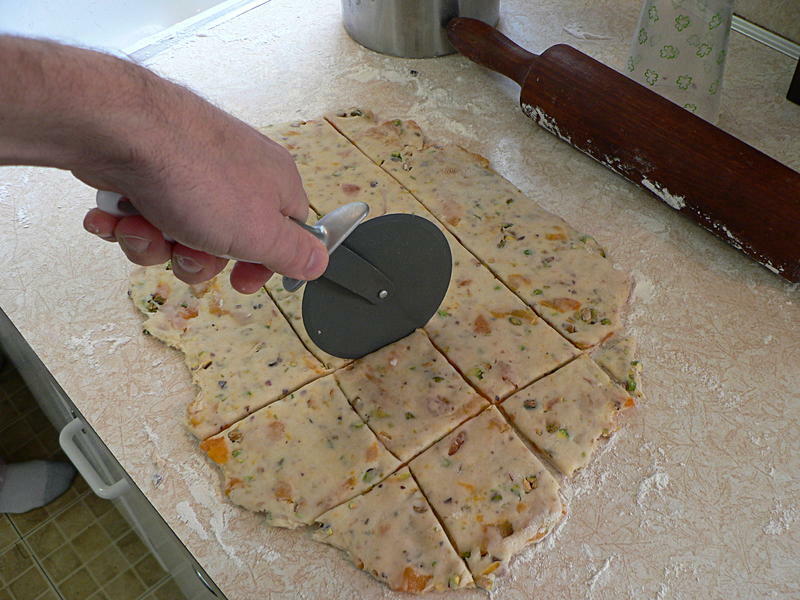 Another option instead of the circles is to use a pizza wheel and cut them square. 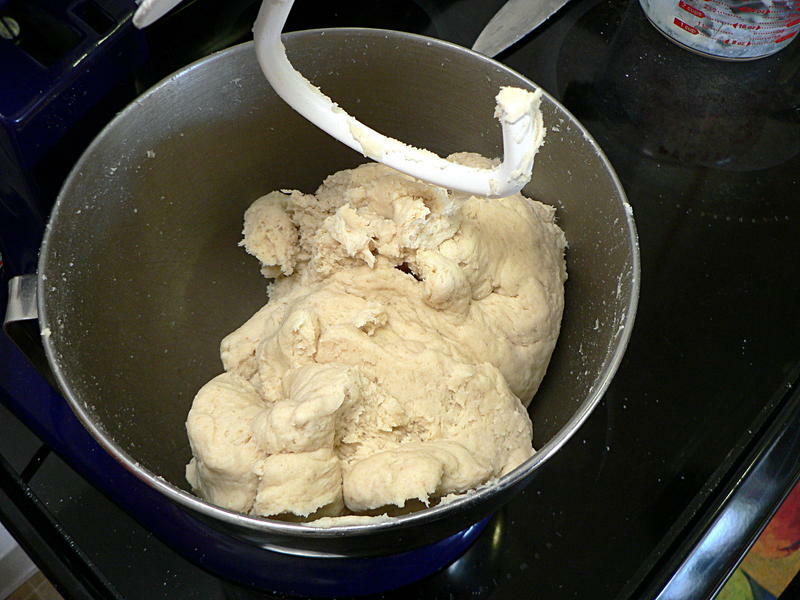 Bake at 425°F for 12-15 minutes, until golden brown. 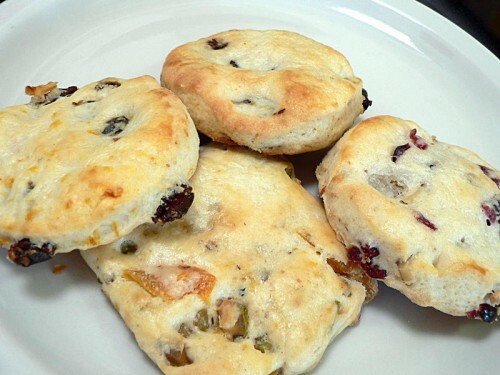 These are extra excellent with Devonshire cream. 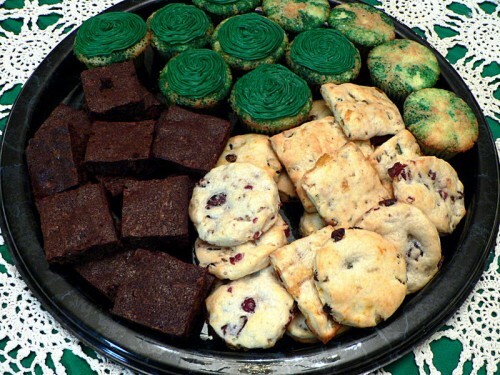 These were for a St. Patrick’s Day party, so we also did the traditional brownies and green cupcakes. What, they’re not traditional in your family? Your family is boring. 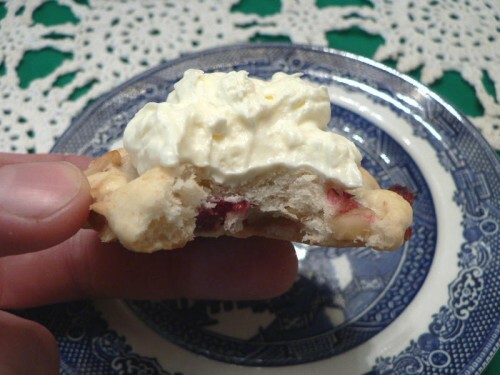 Scones mostly show up at tea parties. 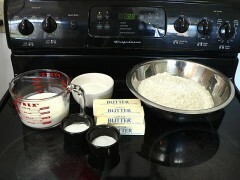 Why ... no one knows. Combine all the dry ingredients in a large bowl. 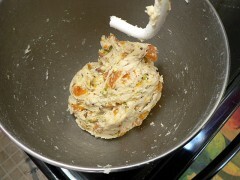 Add the butter and cut in with a pastry cutter, or beat with a mixer, until it forms coarse crumbs. 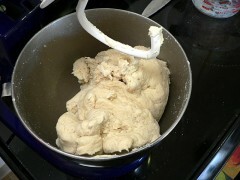 Stir in the buttermilk to form a soft dough. 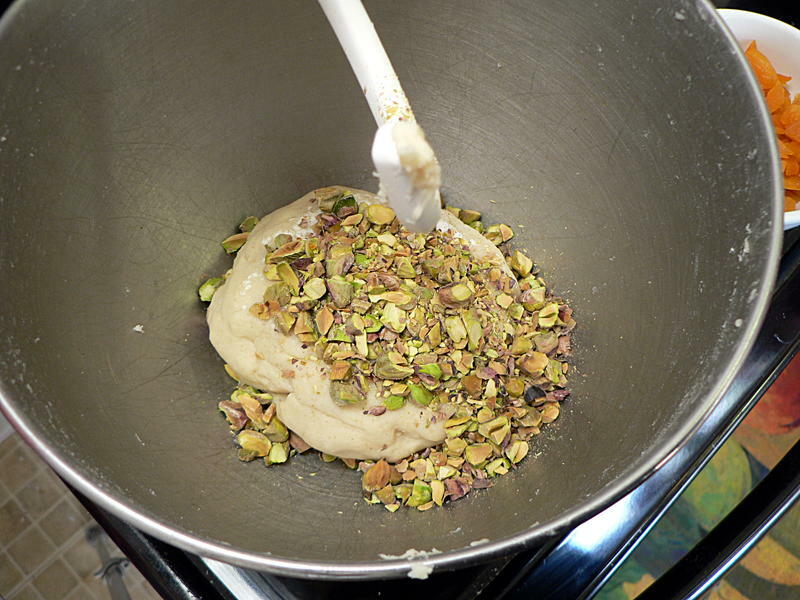 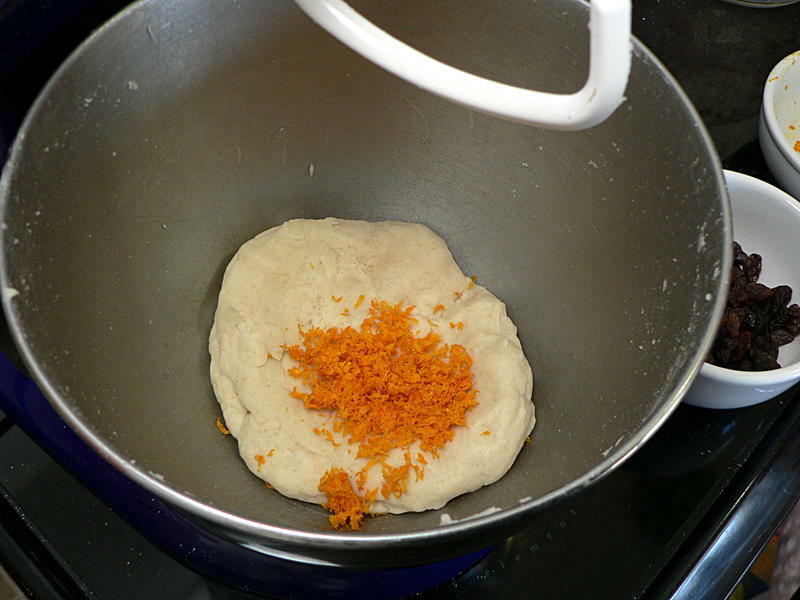 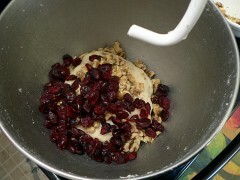 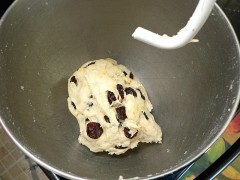 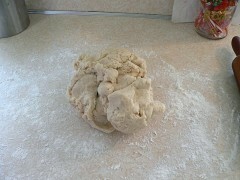 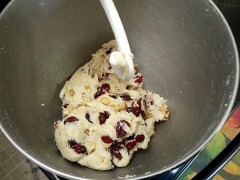 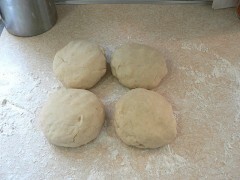 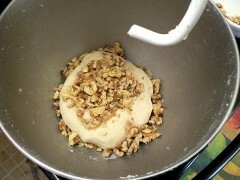 Divide the dough into four equal portions and add the mix-ins. Roll out a quarter-inch to a half-inch thick and cut into circles, squares, or other shape. 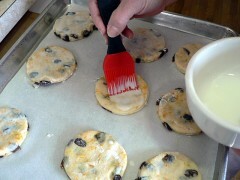 Brush the top with milk or buttermilk.